The word Psychedelic is actually taken from ancient Greek words “Psyche” which means “Mind” and “Delos” which means “to make clear” or “to reveal”. In science, hallucinogen is referred to psychedelic. Humphrey Osmond used the term psychedelic for the first time in 1957 as “psychedelic psychotherapy” in the place of hallucinogenic drugs. “Entheogens” is another word used in the place of Psychedelic and it means “awakening the seraphic within”. However, “Entheogens” is most abundantly used to allude to religion and spirituality and Psychedelic is left to relate those who are taking the drugs like LSD for enjoyment, psychotherapy, to treat ailments or to resolve problems. In 60’s Psychedelic drugs trended and a new term “psychedelia” was generated which was used to describe psychedelic inspired music like psychedelic rock, visual art, fashion and culture. All this was originally related to the 1960’s subcultures like hippies and the Haight-Ashbury neighborhood of San Francisco, California. Psychedelia started in 1966, but it was in 1967’s Summer of Love (a social phenomenon that took place during the summer of 1967 where 100,000 people gathered in the Haight-Ashbury neighborhood of San Fransico), where it really took off and spread from San Francisco to the entire US, and eventually Worldwide. 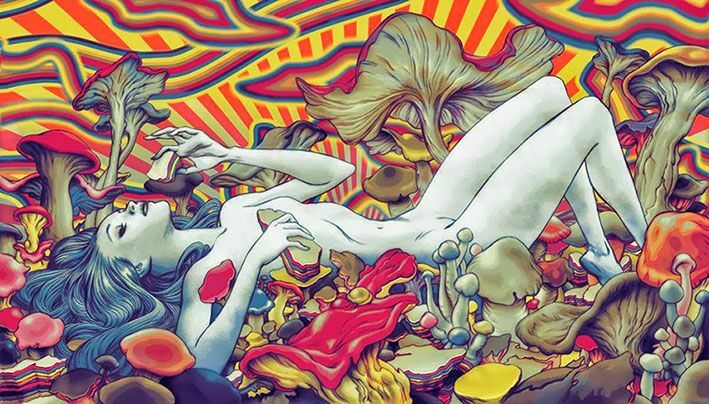 By the end of the 1960s the term psychedelic was adulterated and misused by the media and general people. The new concept suggested “psychedelic” as anything which is bizarre or counterculture. Some folks even referred 1960s artists like Frank Zappa and Velvet Underground as “Psychedelic”. Even though, the original meaning of psychedelic will always imply to the music that is relevant to LSD (a Psychedelic drug) empiricism. The unique and contrasting culture of the 1960s was influenced on the popular culture of 1970s and it was well adopted by people who were not even familiar with its psychedelic basis. This trend later gave birth to a form of electronic dance music which is also called psychedelic trance. 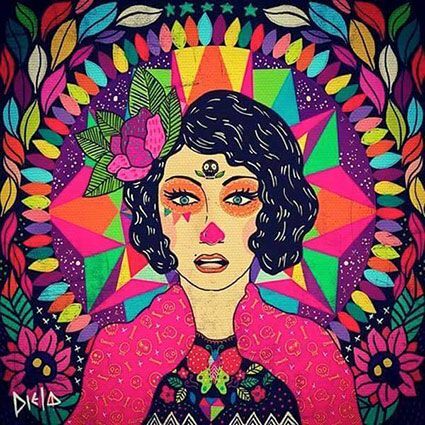 Psychedelic art can be defined as the art which purposely creates an aura in the mind of the audience that is inspired from Psychedelic experiences. 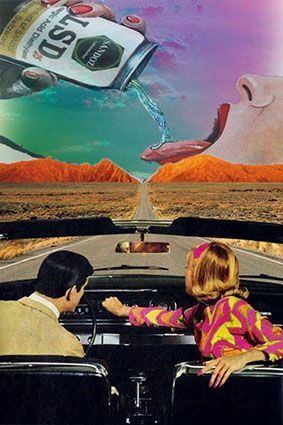 As we now know that psychedelic is that which clears our experiences or thinking from what we have stored within our conscious and subconscious states of mind. Also, the word is often used as in context to psychedelic drugs, but is not always subjected to that only. Psychedelic drugs are classified as the drugs that thoroughly changes consciousness and perception of the person who takes them. LSD, mescaline, psilocybin, ibogaine, and dimethyltryptamine are some of the common psychedelic drugs. Unlike heroin or cocaine, psychedelic drugs are not bodily risky or addicting, even then they are considered highly harrowing and perilous that consumption of them can cause long prison penalties. These drugs are believed to increase consciousness which is highly desirable, but no healthy minded people can be allowed legally to take them. Psychedelics are generally considered as evil and destructive, but the fact is that their usage depends on the state of mind a person is in before taking them. Besides, like all other extraordinary weapons, psychedelic drugs also hold ambiguity. For example, the internet could be an amazing source of loads of information or education, yet it can be used in playing games for hours a day.